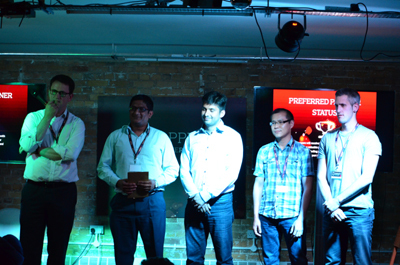 Following Zapp mobile payments’ inaugural hackathon we’re excited to announce winners Sage Pay and runners up Intelligent Environments. Sage Pay developed an app to simplify e-ticketing and Intelligent Environments innovated a new way to split bills. 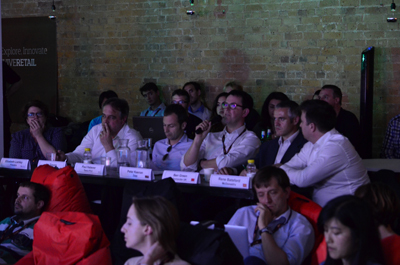 Zapp challenged web developers and designers from the start-up, fintech and retail sectors to impress a panel of esteemed judges by inventing a solution which could #ReviveRetail. The pioneering concepts were wide ranging: from a cardless cash machine, presented by financial services supplier, FEXCO to claims management solutions from exciting start-up Youstice (fourth place) to visual authentication solutions from PixelPin. Another participant, Deloitte Digital earned third place on the night by offering a solution to consumer overspending by putting the customer back in charge of their money. The Deloitte team’s personal finance app, Pow, powered by Zapp, shows a user the best price for a product they scan with their mobile and what impact this purchase would have on their bank account. But it was the innovations taken by the Sage Pay and Intelligent Environments teams which really caught the panel’s attention. Industry heavyweights René Batsford (head of digital innovation, McDonalds), Paul Haberer (programme manager – Digital Payments, Tesco) and Ben Green (head of mobile and payments, Santander) alongside Zapp’s CTO Ian Sayers and CEO Peter Keenan, awarded first prize to Sage Pay: an all expenses, five star trip to Seoul, South Korea. Runners up Intelligent Environments were awarded Zapp Preferred Partner status when it launches later this year. Sage Pay, a payment solution provider for around a third of all UK retailers, Sage Pay made the gig ticketing, queuing and attending process manageable through just one app. Using Zapp technology, Sage Pay developed an app which would allow a gig-goer to pay for a concert automatically when they arrive. The geo-ticketing solution they developed is a great example of how mobile payments help blur the lines between online, mobile and the in-store – or at-event – shopping experience. Intelligent Environment, the digital banking provider, came up with a concept called ‘ZappTheTab’. ZappTheTab combines iBeacon technology with Zapp to enable a whole table to order through their mobile devices at the same time. The app also tackles the potentially awkward bill paying moment for large groups as you all pay there and then for what you’ve ordered, through your mobile, even down to splitting a bottle of wine.